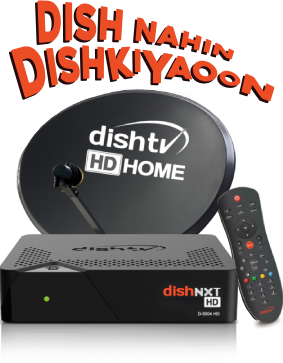 Watch how DishTV is more Dishkiyaon than ever before! Subscriber has to pay extra for the outdoor unit and installation. +All channels refer to the channels available on the platform (except the other regional add on packs). New connection offer price includes Infra Support service charges. The Subscriber is permitted to use the Hardware to view the opted channels till the payment of due subscription. 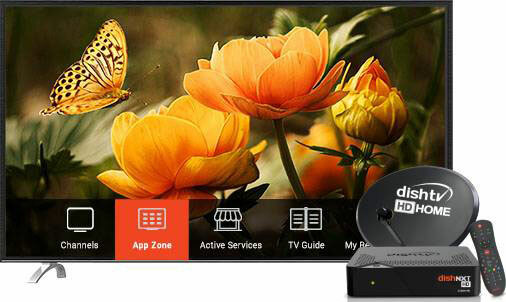 The Hardware includes the Set Top Box which shall be provided by Dish Infra Services Private Limited. 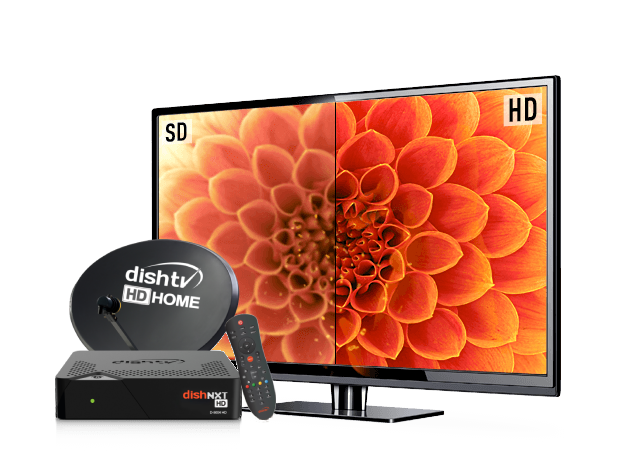 Cashback amount will be credited into the DishTV account of the subscriber and must be utilized within a period of one year. The aforesaid packs are not available for recharges and the subscribers must opt any of the prevailing packs upon utilization of the cash back amount. Offer not valid for subscribing Bharat pack, Punjabi Tadka, Classic Joy, Non-Stop pack, Swagatham & Abhinandan pack. Lock in period shall be applicable in case of add on packs. Limited period offer. Scheme and conditions thereof and composition of the packs can be changed at the sole discretion of the Company. Conditions apply. For detailed terms and condition please visit www.dishtv.in.